Most business owners understand that email is an essential tool for both internal and external communications. Sure, some people have adopted newer ways to communicate, including conferencing and instant messengers. But email never really goes away. It’s simply too important. Yes, despite the overzealous marketing from collaboration platforms, email is still an integral method of communication for businesses of all sizes. It’s the perfect way to reach your customers directly and have conversations with coworkers. It is both easy to use and easy to manage. It does, however, come with its own rules and etiquette. These four best practices for business email are sure to serve you well when writing your business emails. The first thing you need to do is set up a professional email address for your company. Sure, you could just ask all your employees to handle work emails through their personal accounts. But is that really professional? You want to establish your business’ credibility from the start. Don’t risk the possibility of important work emails getting lost in the mix just as you start your business. Instead, you should choose a business email service that addresses your company’s most basic needs. This includes online security, additional storage, contact management, calendar management and other helpful features. Yahoo Small Business, for instance, offers a free domain name when you sign up for a professional email address. 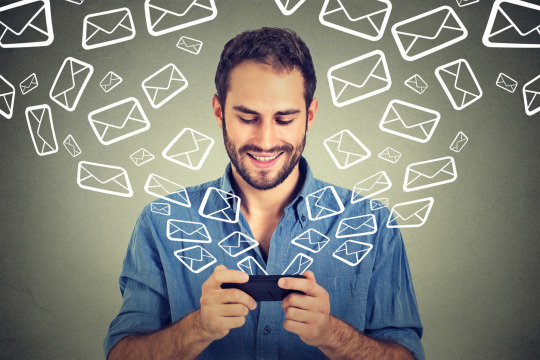 One of the most common mistakes in email is hitting “reply” or “reply all” inappropriately. Let’s say you are included on a company-wide email discussing changes to the vacation policy. You want to ask your boss if it is still okay to take a four-day weekend in April, but accidentally hit “reply all” instead of responding to him privately. Now everyone in the office is privy to a private conversation between you and your manager. It’s embarrassing, and not to mention it’s poor email etiquette. It’s important to include a signature on your emails. This provides vital contact information to clients and partners outside of your company. This will allow your network to easily reach you in case something comes up. An email signature should include your name, title, professional phone number and business address. Some people like to include a photo of themselves or a company logo in their signatures. This is fine, but make sure your signature doesn’t exceed four lines of text. An overstated signature might distract people from reading the actual contents of your email. Depending upon your position and brand, it might be helpful to include your social media (such as LinkedIn or Twitter) links in your signature. There are dozens of ways to sign your emails.Some of the most common sign-offs include sincerely, with regards, and best wishes. Some people may who enjoy experimenting with their closing depending on the mood of the email, and others who stick to one closing for all communications. But which tactic is best? Better yet, “Thanks” got a 62 percent response rate compared to 46 percent for non-thankful closings. Follow the above tips when tackling professional emails. You’ll be happy you did. For more professional advice for your small business or affordable email services, visit Yahoo Small Business today!